Robert Walton Hall is my husband’s paternal Uncle. Older brother to his Dad. My husband talks fondly about his “Uncle Bob.” I understand that he owned a gas station located at Rolando & El Cajon in San Diego, back in the 1960’s. My husband used to work there, when he was a teenager. Here is what I know about Robert W. Hall. He was born, the second child, to Charles Schuyler Hall and Daisy Fern Bright on 7 Jun 1907 in Pennsylvania. He had one older sister, Dorothy Louise Hall who was born in 1905. He also had a younger brother, Gordon Charles Hall, born in 1917 (my husband’s father). Robert is enumerated with his father, mother, older sister and paternal grandmother in 1910 in Tarentum, Allegheny, Pennsylvania. Sometime between 1910 and 1917, the family migrated from Pennsylvania to San Diego, California. In 1920 I find this family living at 1605 Thirteenth St., San Diego, California. There is an addition to the family, as young Gordon has been born. Here are those two census records. I located the announcement of an application for a Marriage License, by Robert W. Hall, age 22 and Evelyn A. Bullock, age 21, both of San Diego. This announcement was published in the San Diego Evening Tribune, 11 Jul 1929, page 25. They appeared to have applied for this marriage license on July 10. UPDATE: Thanks to a fellow blogger, Cathy Meder-Dempsey who writes the blog Opening Doors in Brick Walls I have been made aware of an error in my post. The date on the Arizona marriage license, as mentioned below, is NOT July 15, 1929, but JUNE 15, 1929. How did I miss that? Thank you Cathy! I have left my original statement below, in brackets. Here is the Arizona license. On 15 Jul 1929, Robert W. Hall marries Alice Evelyn Bullock, in San Diego, California. The event was covered in the local newspapers. Miss Bullock was the daughter of Commander Charles H. Bullock and his wife Josephine Marie Hurton. From the San Diego Union I find these articles about the nuptials. The couple went on their honeymoon and when they returned there was a small article in the paper with a very lovely photo of the bride, Evelyn. She’s quite pretty. Here’s the article from the San Diego Evening Tribune, 23 Jul 1929, page 8. There’s more to Robert's story, so stay tuned for Part 2. 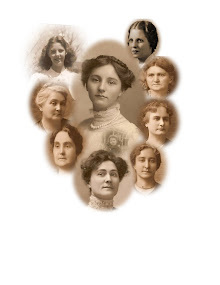 To see all my 52 Ancestors posts please use the tab at the top of the blog or click here. I love the photo of Evelyn. The hat and those eyes. Looking forward to part 2. I agree with you Cathy. She looks quite pretty. They weren't married for long (as you will read in Part 2). I have no idea what became of her. I won't stop looking though. Diane, what an interesting find with a second marriage license....I wonder why?. Update Debby - My mistake. I corrected myself thanks to Cathy Meder-Dempsey who caught my error.